A number of impressive cocktails feature the sweet-tart taste of delicious little blueberries. It may be from fresh berries, appear as a juice, or in the form of a blueberry vodka or liqueur. The flavor is unique in mixed drinks, which is why it's so intriguing and delightful. If you're looking for a fabulous, fresh taste, one of these blueberry cocktails is the recipe for you. 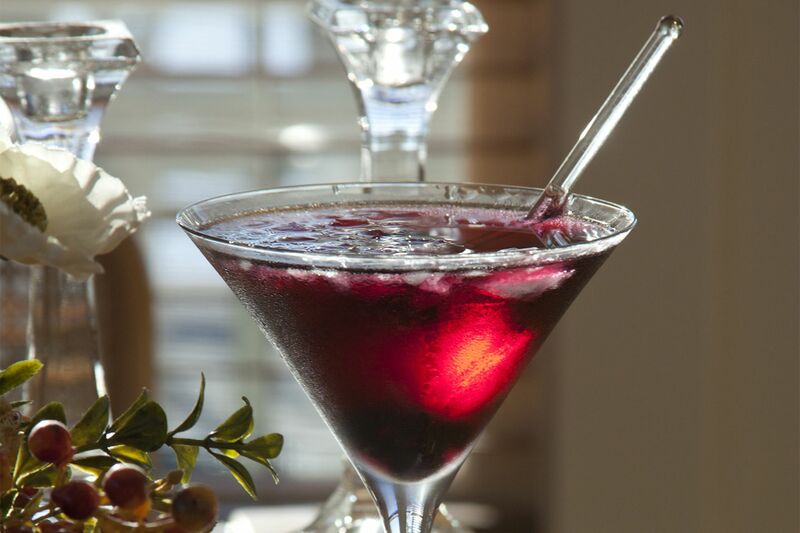 Blueberry juice takes center stage in this fantastic vodka martini. It is fruity, refreshing, and an impressive cocktail that is easy to mix up. The addition of mango is fascinating and it works surprisingly well. It's likely that you will find blueberry juice at your local grocer. Alternatively, you can muddle fresh blueberries or use your electric juicer or blender to extract the juice. If you love to make your own drink mixers, the daiquiri-ease recipe is a perfect choice. It pairs your favorite rum with a homemade lavender honey and a blueberry shrub. The result is fascinating and worth the effort. Also known as a drinking vinegar, a shrub is a flavored and sweetened vinegar. It's an old-fashioned ingredient that has seen a revival in the cocktail world. Shrubs are easy to make and this blueberry version is the ideal introduction. The American Collins is a garden-fresh take on the popular Tom Collins. The recipe features a great gin in Bombay Sapphire which tops a muddle of fresh blueberries and bing cherries. Bing cherries are darker than normal cherries, though any cherry will do. You can also pair raspberries or blackberries with the blueberries for an equally enjoyable summertime drink. A refreshing drink, the purple Viking is a simple but interesting recipe. The base is Southern Comfort and it's paired with an array of fruity flavors. Adding to SoCo's peach, you'll also get a taste of sloe gin, blueberry liqueur, and orange from blue curaçao. Add a little lime and sour mix, then top it with citrus soda and a beautiful blue-purple drink is ready to sip. The cosmopolitan is a fantastic cocktail and a favorite for many drinkers. It is also an excellent base for a creative mix of flavors, as seen in the very berry cosmo. The recipe features an açai-blueberry vodka from Van Gogh. The berry blend is exotic and one that you need to take the time to appreciate because it is unusual. Chambord sweetens the mix and marries the vodka to the cosmo's signature cranberry base. Here's your chance to mix up a great drink with that bottle of moonshine you have stashed away. The French Quarter smash softens the corn whiskey with brandy and uses fresh citrus and mint to cool the alcohol down even more. The sweeteners are the most interesting part of the recipe. For one, you get to mix up a simple almond syrup with almond extract. Then, you'll add a dollop of blueberry preserves. When it all comes together, a fantastic and truly unique cocktail is waiting for you. Fresh from the garden, this is the ultimate summer cocktail and it takes full advantage of the season's produce. The garden patch smash is a medley of berries accented with lavender and lime along with a tequila. The recipe offers another opportunity for a DIY mixer in the raspberry-lavender simple syrup and it is very easy to make at home. Once that is muddled with a handful of fresh blueberries, you're ready to shake up this fun, fruity drink. 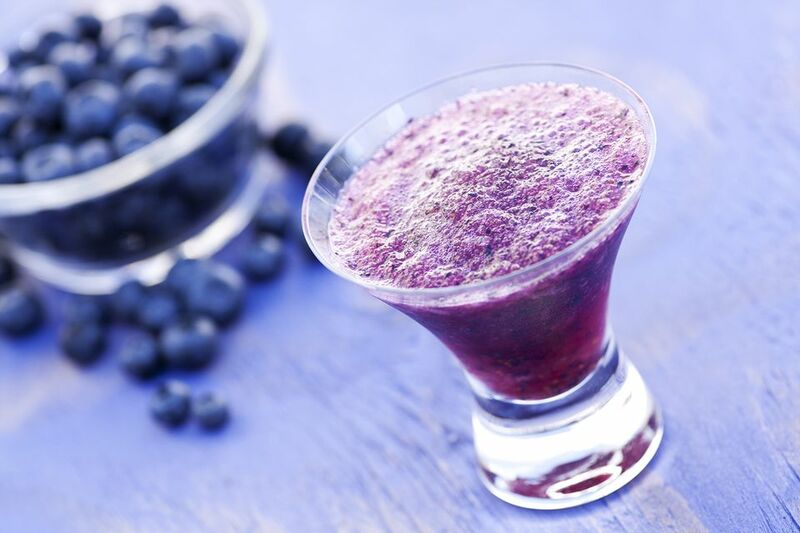 Lavender is the perfect pairing for blueberries and they appear again In the lovely Paulista cocktail. This recipe complements that perfect harmony with a cachaça base and a blueberry liqueur to sweeten the deal. You can make your own blueberry liqueur in the same way as this lychee liqueur. A number of small distilleries offer a fantastic blueberry liqueur as well, or you can pour a blueberry schnapps, brandy, or crème de myrtille. If you enjoy the Moscow mule, this fascinating cocktail will be quite the treat. It uses a blueberry vodka, which is not common but is offered by a number of vodka brands. You can also do your own vodka infusion while the fruits are in season. The drink recipe adds an interesting array of flavors to the vodka. The anise found in absinthe is probably the most surprising. While it may be tempting, try not to skip this ingredient as it truly does take the drink into another realm. Your next party punch recipe is right here and it is sure to please all of your guests. It's a simple wine punch that features the soft notes of those pink Rosé wines. The rosé berry bliss adds fresh blueberries and pink lemonade to the wine, creating a bright, fruit base to the punch. It all comes together with a little soda sparkle, making it ideal for a wedding, brunch, or similar affairs.